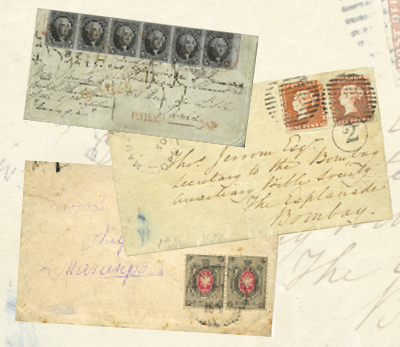 Wouldn't you just love to add these rare postal history beauties to your collection? There are thought to be at least seventy ‘first day covers’ for the Penny Black, those covers sent on the first day the world’s first postage stamp was accepted as payment for postage - that's a lot of 'firsts' - but only one boasts more than two examples of the 1d black stamp. Want to add it to your album? You'll have to ask the Queen; the cover is now held in the Royal Philatelic Collection, after it was purchased for Her Majesty in 2001 for £250,000. This colourful gem features both a Mauritius one penny orange-red and a two pence deep blue and held the achievement for the highest price paid for a philatelic item for over twenty years until 2014. 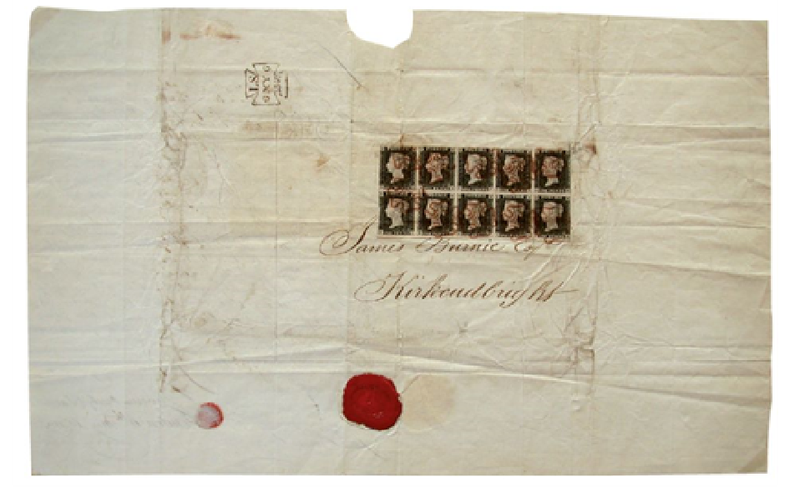 According to auctioneers David Feldman, 'some trivial imperfections do not in any way impeach on the stunning aspect of this incomparable item', which, unusually for postal history items, also includes the letter contents. 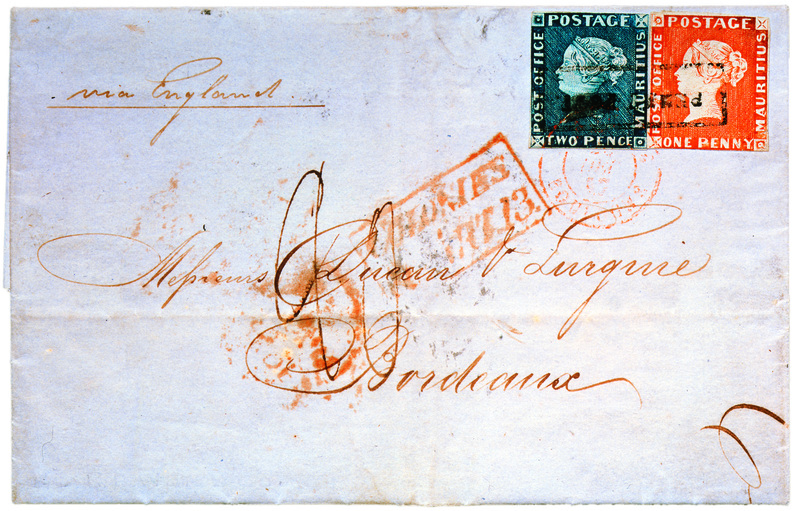 The letter inside was written in Port Louis on 4 October 1847 by Edward Francis & co. and was addressed to Bordeaux confirming the sale of casks of wine. In a similar vein is the 'Bombay' cover, also featuring the famous Mauritius stamps. 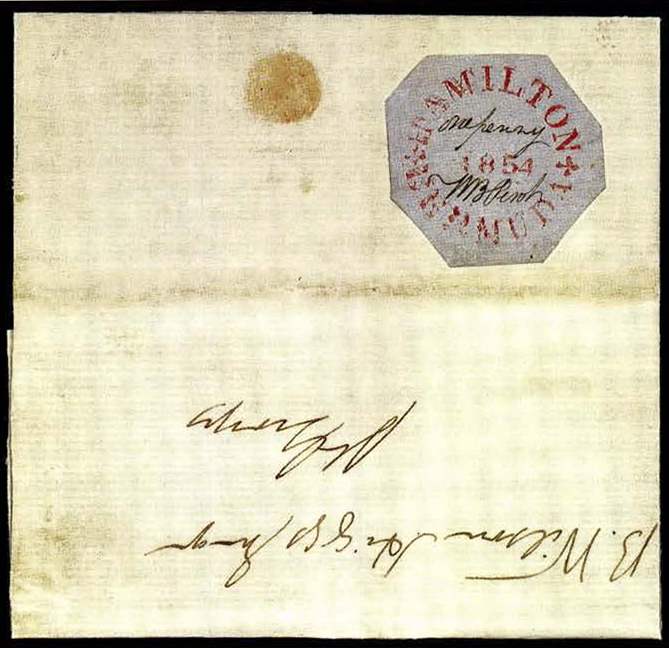 Described as 'the quintessence of philatelic superlativeness', a tongue-twister only the boldest philatelic auctioneer would dare to pronounce, the 'Bombay Cover' sold at auction (again by David Feldman International Auctioneers) for €2,400,000 (around £2.12 million) in 2016. It boasts two of the finest examples of the famous Mauritius Post Office One Penny stamps, one very sharp and the other 'a little heavier', which is said to be 'indicative of the primitive printing methods' of the time. The range of beautiful USA covers in the sale of William Gross's USA treasures included a 'Prince Edward Pony' cover, which is said to be unique in three important respects, being the only Pony Express cover sent to Prince Edward Island, the only $2 'Horse & Rider' stamp on a cover to a foreign destination, and the only combination of the 5¢ 1860 issue with a Pony Express stamp. The auction catalogue continued: 'based on these facts, it is rightfully acclaimed one of the most outstanding covers in United States postal history.' We agree, and just love the Pony Express stamp. The cover sold for $300,000 ( approximately £228,500). It might not be the most expensive item in this selection (it sold for $15,000 at Spink USA in spite of, or rather thanks to, the charred edges), but surely it's the most dramatic. The 1937 First North American Flight of the Hindenburg zeppelin famously ended in disaster, as the airship crashed at Lakehurst, New Jersey. Remarkably, mail on board survived and this 'well preserved large portion of a cover' was recovered in a clean-up of the crash site. 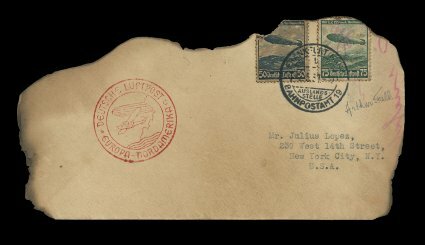 It may seem a little sombre, but 'crash mail' (and zeppelin mail) is a popular sideline for postal historians and these items can certainly be described as a piece of history. The earliest recorded envelope bearing the famous Chinese 'Large Dragons' stamps set a new record price for any Chinese philatelic item in June 2018, when it sold at an InterAsia Auctions sale for HK$18,975,000 (around £1,891,105, wow). 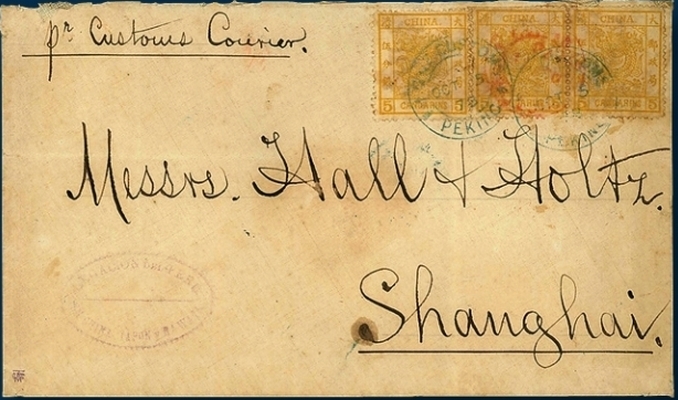 The cover was sent on 5 October 1878 from Peking to Shanghai bearing a 5ca pair of stamps, plus a single example. The cover sold after 'a fierce battle between two determined phone bidders', that is, of course, two very wealthy phone bidders. 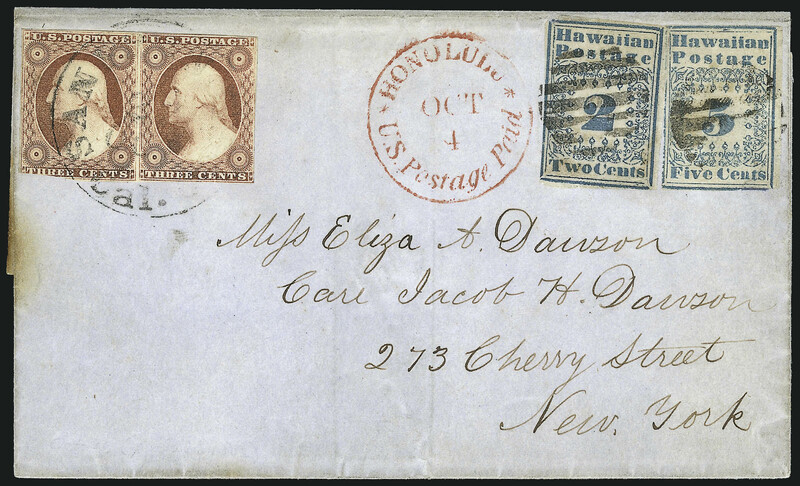 The famous Dawson cover features the only known use of the 2 cent value on cover, plus a 5 cent value and two 3 cent USA stamps. The cover has grabbed the headlines at least twice in recent years (selling for £1.63 million and then £1.74 million, both at Robert A Siegel) but it's the discovery of the rare cover that's most intriguing. The rarity was found in a bundle of letters and documents that had been thrown into a factory furnace in the 1870s but, thankfully, it was packed so tightly the fire went out without burning it. 35 years later it was found and began its life as a philatelic treasure. 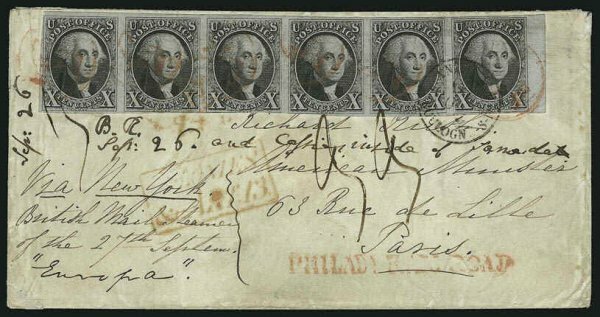 This US rarity was sold for $1.2 million (£936,000) by Robert A Seigel and features a strip of six 10 cent 1847 stamps, the largest number of these first US stamps, which depict George Washington, known on a cover. No wonder it's been described as 'the most important cover known to American philately'. The cover was sent from Philadelphia, via Paris, to Liverpool after travelling by train and steamship. We end our imaginary wish-list with an item usually only found in museums. This seemingly archaic stamp is a 'provisional' created by William Perot, the Bermuda's postmaster way back in the 1850s. Perot needed stamps and so came up with this unique and rather simple design, adding his signature to the stamps as a form of cancellation. 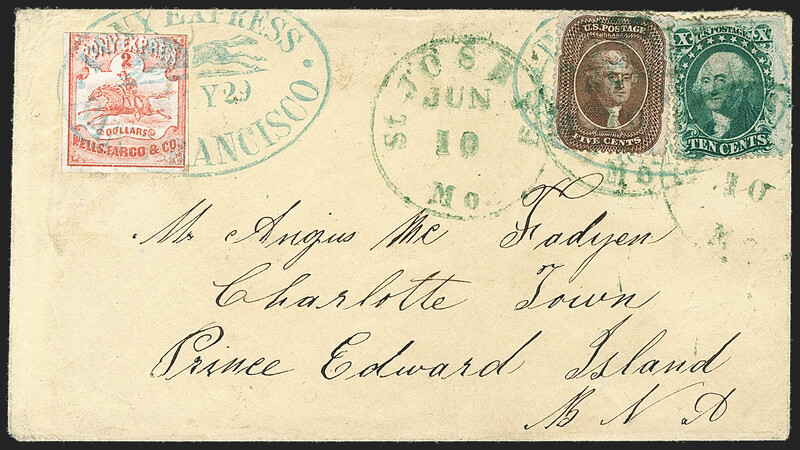 This cover is thought to be the first example seen by anyone outside of Bermuda and is the only 1854-dated stamp in private hands (the Queen owns the other one). It was sold by Robert A Siegel for $340,000 (£265,000). This selection might be way out of most collectors' budgets, but that shouldn't stop you. Just think of how many letters were sent in the days before emails, texts, and social media messages. Let's face it, the correspondence of the past was much more attractive and interesting, and there are thousands upon thousands of items for us to pursue, research and add to our collections, whatever our budget. 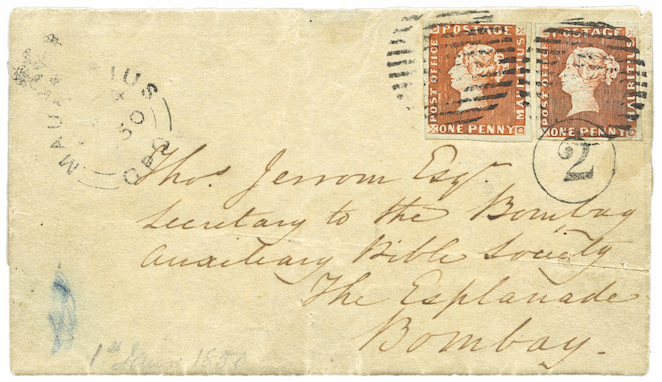 Read more in our dedicated postal history pages. 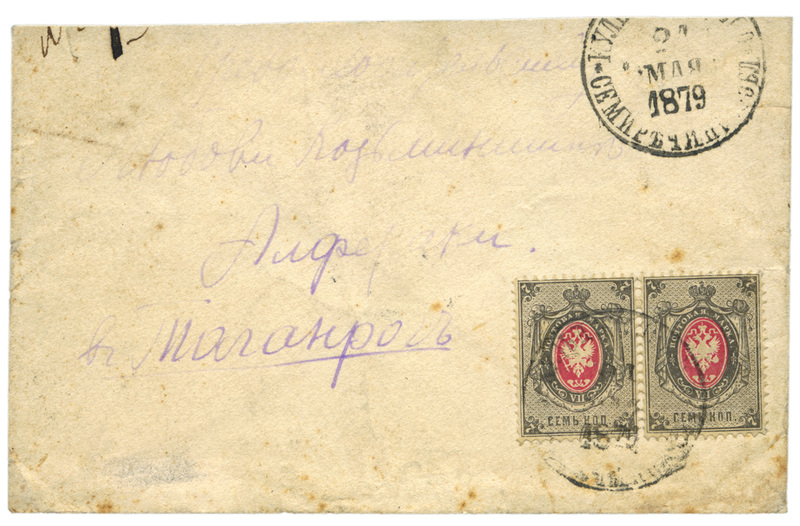 Check out our 'collecting basics' guide to postal history for an introduction to the subject. Search for dealers and auction houses selling postal history in our 'Find a Dealer' directory. See more auction results in every issue of Stamp Collector magazine. Kirkcudbright Cover image courtesy of HM The Queen to whom all copyright belongs. Other images courtesy of relevant auction houses. Prices include buyer's premium.